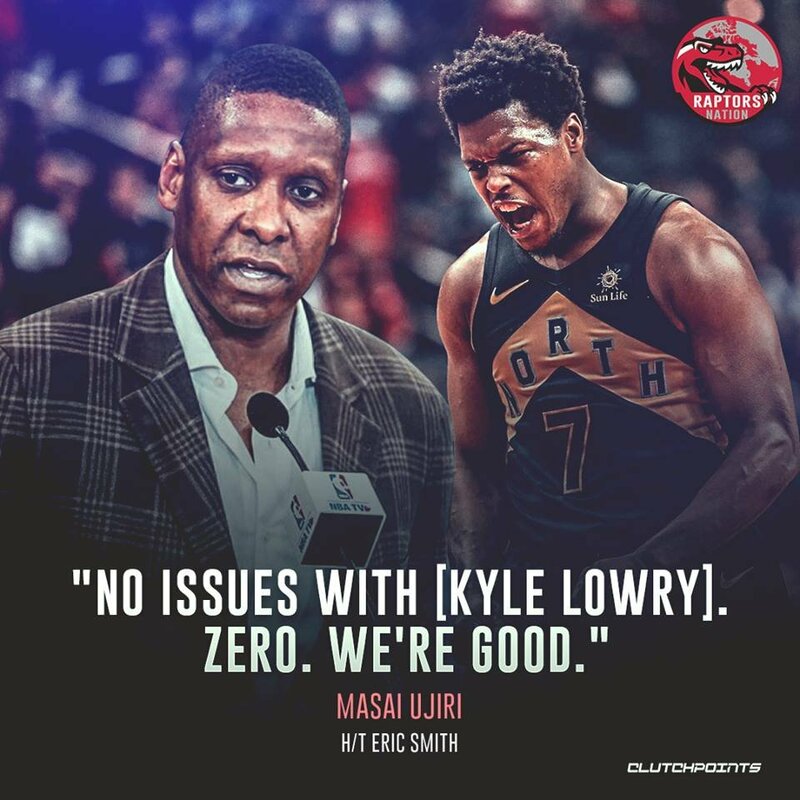 As a side note to all this excitement, I really hope and pray that Kyle retires a Raptor. With DeMar and JV gone he's the last of my favourites and the main connection I had to the team over the last several years. omggg...no end of an era!! Last few years have been difficult for me as I've watched all the superstars that I grew up watching retire. Their playing careers came to an end and my 20s are almost done. Damn. Get out of here with your reality! Another piece from CBS/generic American network trying to infer Kawhi will not stay with zero new evidence. These people have been relentlessly trying to speak their way into Kawhi not being here. From the day of the trade, saying he wouldn't "report" (based on nothing other than their wish) all the way up to now. It's ridiculously poor journalism. It's incredible how places like the Knicks, Lakers and even Boston & Philly have to do nothing, and their always hailed as where player X could land, half the time with no evidence whatsoever, until finally player X has to say "actually, no, I'm not interested in signing there". Either that or the players eat up the spin and fall on their laps for nothing anyway. Whereas for the Raptors the guy is already here (and winning), but they keep spinning the other way regardless. This is why I really enjoyed when Dallas won in 2011, and the years the Spurs won. Small markets doing the right work and fighting the good fight despite the hype machine against them. When GSW falls in the next couple of years, I hope the next team up is someone like the Raps, Rockets, Nuggets etc.. anywhere but the LA/NY/Boston/Philadelphia teams. Sorry for the rant. Houston is not a small market team mate. Neither is Dallas really. There's big market and then there's big market. You're right. Neither are we actually. Should have used another term other then "small market". I meant as in any place that isn't coddled by the media as much as Boston/Philly/LA/NY. From the front section of RR. Blakes tweet and the accompanying graphic are unbelievable. Hey Puffer, is that the link you wanted to post?